Plot twist! A baby is coming soon! 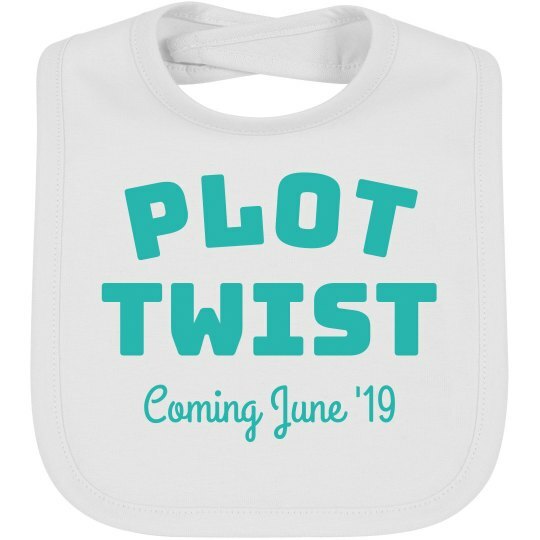 Be prepared to announce the news that you're expecting by customizing your own little baby bib. Reveal the date to your friends and family with this cute keepsake that can be customized with the due date of the new addition.